Framed Poster Christmas Snowman cartoon. 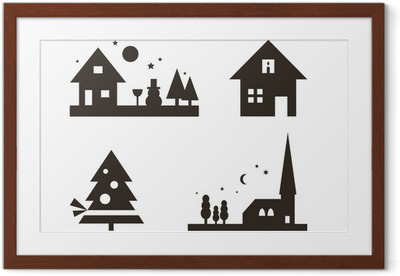 Poster Collection of a christmas silhouettes. Poster Snowman and star of Bethlehem card. Framed Poster Four seasons. Vector.